Whatever the time of year, one likes to give one’s loved ones something nice. Of course, your own pets are not excluded from this. And if they are not their own, then every little animal deserves a nice place to sleep. 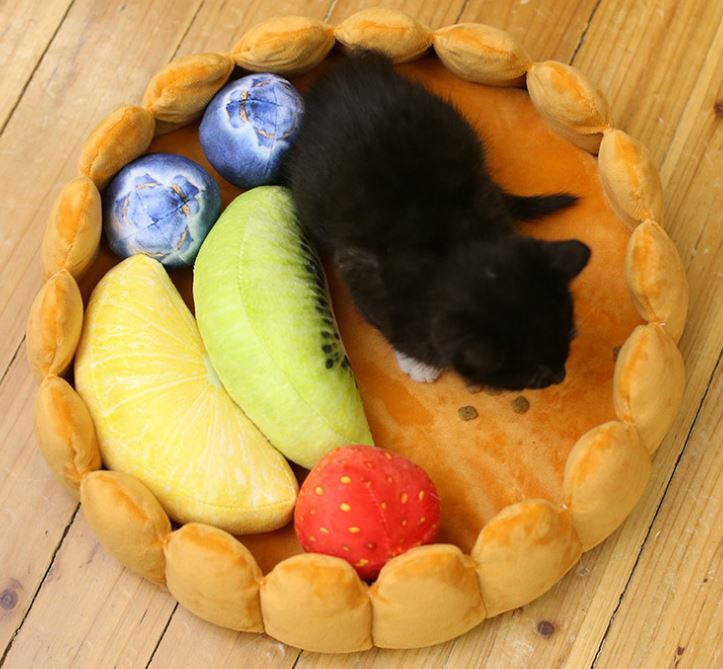 If there is currently no animal in the surrounding area, a small child may also fit into this wonderful fruitcake bed. At AliExpress you can buy the cake base in two colour variations, light or dark lining, and in two different sizes, either 40 or 60 cm in diameter. I can’t tell you exactly to what extent the colour of the lying surface is relevant. At the most so that you might not see the hair of lighter animals so quickly?